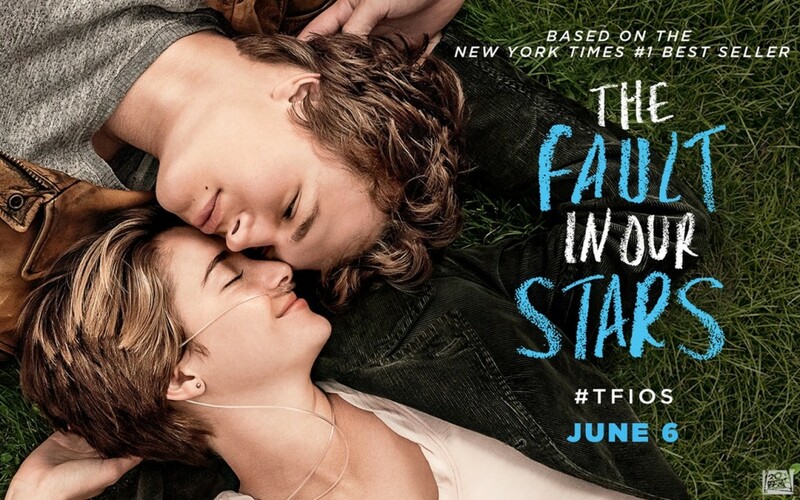 Based on the book by John Green, The Fault in Our Stars follows sixteen year old Hazel Grace Lancaster (Shailene Woodley), who meets and falls in love with Augustus Waters (Ansel Elgort) at a cancer support group. Hazel has survived Stage Four thyroid cancer, however it has spread to her lungs and she requires an oxygen tank to breathe. Gus is cancer-free after having his leg removed due to osteosarcoma. The two fall deeply for each other, whilst knowing they likely won’t have much time together. I found the book a tad corny, but still rather beautiful in its outlook on love, pain, and death. It also managed to be quite funny despite its subject matter. The film stayed fiercely true to the book, which may have been its downfall. Hearing actors say the dialogue aloud makes its corniness all the more apparent. These characters don’t talk like normal people – they are full of grandiose literary declarations of love which border on cringe-worthy. This was certainly through no fault of the actors who were terrific. But it was just so lame in parts. And this extended past the dialogue. When the two characters kiss for the first time, a nearby stranger starts a slow clap. YES, A SLOW CLAP. THIS IS WHAT WE’RE DEALING WITH. We’re not in the 80s anymore! We have moved on from the slow clap! It just screams ‘LAME’! No doubt the teenage girls were bawling their eyes out at this part of the film. Teenage girls are clearly the target audience here. In the first few days of its release they were already gushing over the film, with one Facebooker commenting “I promise you that it is the best movie you will ever see”. While it’s much better than Twilight (not very hard) this will certainly not be the best movie any of these girls will ever see, even if it is the current front-runner at this early stage in their lives. I consider myself a teenage girl at heart, so I certainly still have the potential to appreciate teen movies. However, being someone with a tad more life experience I probably approach them with a more heightened sense of reality. And what this film isn’t, is realistic. I adored The Spectacular Now (James Ponsoldt, 2013), which has much in common with The Fault in Our Stars. Both are based on novels and are adapted by the same screenwriting team of Scott Neustadter and Michael H. Weber. Both star Shailene Woodley. And if you watch the trailers alone, you will see at least four scenes that are almost identical. The differences most likely reflect the original source material, and possibly direction. The Spectacular Now captured the naivety of young love perfectly, while still maintaining a bit of grit and involving realistic dialogue. 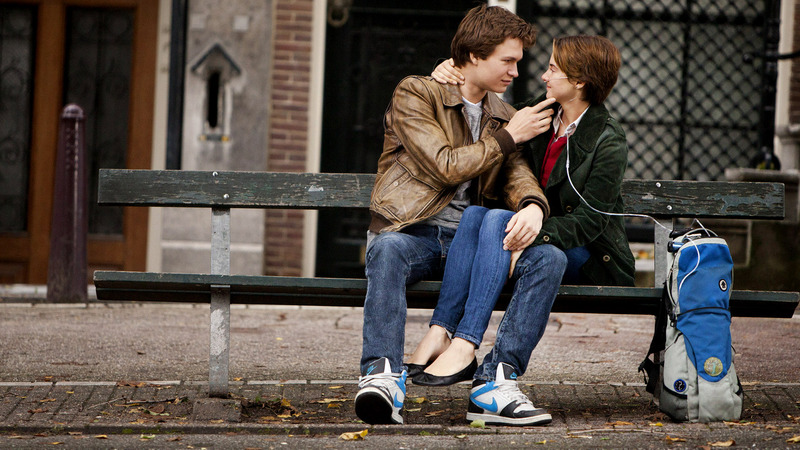 The Fault in Our Stars, on the other hand, embraces highly romanticised notions of teenage love, and involves big, profound statements that teenagers just don’t say in real life. But maybe that’s just me becoming old and jaded. The performances certainly elevate this film. Shailene Woodley is incredible. Even with tubes up her nose for the whole film and a heinous hair-cut, she is perfection. Ansel Elgort, who played Shailene’s brother in Divergent (ewww) plays the role of Augustus as intended – charming bordering on arrogant, yet vulnerable. 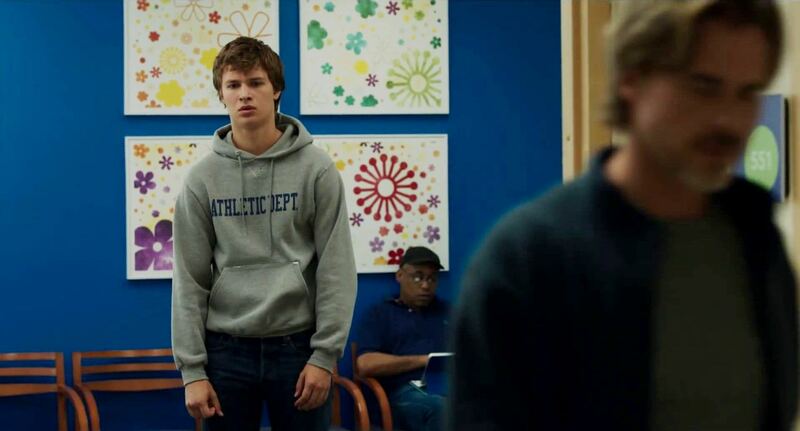 His dialogue may have been laughable in someone else’s hands but Elgort made it bearable. Laura Dern and Sam Trammell as Hazel’s parents pulled on the heartstrings, Willem Dafoe as Peter Van Houten added his usual glorious menace, and the cool nerdy charm of Nat Wolff as Isaac was one of my favourite aspects of the film. Some teens have gone so far as to suggest that Shailene Woodley should start preparing her Oscar speech. Yes, maybe… for another film. You clearly know NOTHING about the Oscar process if you think a film like this could ever be nominated in a million years. Enjoy your Nickelodeon awards though. The teen girls would tell you that if you don’t cry in this film, you have no heart. While my eyes got a bit wet towards the end, it was just a bit too lame to produce fountains of tears. Teens are more likely to embrace/not recognise this lameness. I personally have not yet had any close experiences with disease or loss, and it’s possible that this film will reach out to those who have had such experiences. The dialogue may be bordering on the ridiculous, but there’s no denying that The Fault in Our Stars is nevertheless a very touching story. The impact of cancer on loved ones, as well as the fear of leaving loved ones behind, is strongly felt. If you can embrace over-the-top declarations of teen love with talk of “little infinities” and such, this film could be for you. If you’re one of the aforementioned teen girls: I’m sure you’re already sold.